Bradley has always had long, curly hair and he's always been proud of it. But, lately some rotten boys at school have been teasing him, so he has been begging me for a hair cut. Today, I finally gave in and only cried a tiny bit as he got his first real haircut. He is an absolute doll, but it's going to take me a while to get used to his new look. Turns out Rocky was lonely. 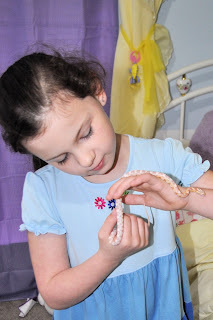 So, at Repticon (really) Chloe chose a little friend for him - Rosie. She was born in October and is a Tequila corn snake. Let's just hope they remain a family of only two.